Jaysh al-Sunnah armoured forces advance on regime held positions in Southern Aleppo. Rebel forces have launched one of the largest battles in the history of the Syrian Civil War to smash through regime lines and break the siege of Aleppo City. With Russia’s decisive support for the Assad Regime now leaving, what can we envisage for the future development of the Syrian Civil War? For a number of reasons the current Syrian 'ceasefire' deal will likely not bring peace to the war-torn country, in the near to medium term. Tomorrow will mark the beginning of the latest round of talks aimed at negotiating an end to the Syrian conflict. Secretary of State Hillary Clinton tells the press "it's not going to be any news if the United States says, 'Assad needs to go.'" A week later, US President Barack Obama announces for the first time -- after weeks of political pressure -- that Assad "must step down". The American announcement happened in coordination with key allies' announcements: Germany, France, and the UK, amongst others, also called for Assad's departure from his presidency position around this time. Western powers reportedly ignore a Russian proposal to securely remove Assad from his position, as the US, French, and British leaders believe the Syrian president would not last much longer in power. President Obama addresses the nation, detailing the brutalities of the Assad regime and announces the US will strike Assad's forces to deter the regime from the use of chemical weapons. The US and Russia then pushed for Syria to become party to the Chemical Weapons Convention, which banned the use of chemical and biological weaponry in warfare. President Obama states at the G20 press conference that "there’s no expectation that we are going to in some ways enter an alliance with Assad. He is not credible in that country." The US president continues on to say that "we are looking for a political solution eventually within Syria that is inclusive of all the groups who live there -- the Alawite, the Sunni, Christians. And at some point, the people of Syria and the various players involved, as well as the regional players -- Turkey, Iran, Assad’s patrons like Russia -- are going to have to engage in a political conversation." JOURNALIST: "Are you actively discussing ways to remove him as a part of that political transition?" Four years later, increased diplomacy between major powers -- especially the US and Russia -- start to cause US leaders to soften their "Assad must go" position. The New York Times quotes an unnamed senior American official as saying, "It’s encouraging, but we’re still a long ways off [on a solution for Assad]." Donald Trump tells Americans to let Russia take care of Assad and ISIS. "Let Syria and ISIS fight. Why do we care? Let ISIS and Syria fight. And let Russia, they're in Syria already, let them fight ISIS. Look, I don't want ISIS. ISIS is bad. They are evil. When they start doing with a head chopping … these are really bad dudes. … Let Russia take care of ISIS. How many places can we be? … Russia likes Assad seemingly a lot. Let them worry about ISIS. Let them fight it out." Hillary Clinton, now a presidential candidate and no longer Secretary of State (since 2013), states removing Assad is America's top priority, four years after she said it wouldn't make US news. A month after the Paris attacks, a week after the San Bernardino attack, the day Los Angeles shut down its public schools due to a bomb threat, and the last Republican debate of the year before the holidays. Also the day Kerry meets Putin and Lavrov in Moscow. The Secretary of State officially reverses the position of the US on Assad, while Republican contenders for the 2016 election spar over what to do. The more memorable quotes are are anti-Russian and anti-intervention. Donald Trump: "Spend the money [used in striking in the Middle East] in the US... It's a tremendous disservice to humanity, and for what? [The Middle East is] a mess, [a] total and complete mess." John Kasich: "In regard to Syria, understand that Assad is an ally of Iran who wants to extend that Shi’i radicalism all the way across the Middle East. He has to go. And for the Russians, frankly, it's time to punch the Russians in the nose. They’ve gotten away with too much in this world, and we need to stand up against them, not just there, but also in Eastern Europe where they threaten some of our most precious allies." Rand Paul: "We need to confront Russia from a position of strength." Chris Christie: "Reckless was inviting Russia into Syria." As of posting, President Obama has yet to make an official statement confirming Kerry's comments in Moscow. Kerry maintained that it is in the best interest for the world when Russia and the US cooperate, and that this cooperation is "a sign of maturity" between the two presidents. While it's great for the US and Russia to be on slightly better terms again, time will only tell if this rekindling of relations will bring Assad to justice and peace to the Syrian people. As Russia increases its level of commitment on the ground in Syria, there are increased concerns that any meaningful change in the political situation is slipping away. Washington has, over the course of the civil war, reduced its own red lines and failed to act to support a meaningful uprising that could be deemed legitimate by the international order, and there are increased concerns over what direction the conflict will take and what the end will look like. Ultimately, what is ideal for the Syrian groups on the ground is an all out victory in their favour while for the regional and international powers it is for a friendly government to be installed or maintained. The high levels of death and destruction such a victory entails in the short term has made them highly unpopular is recent decades amongst the international community (although there are arguments that such victories are more stable and ideal in the mid to long term) and most participants now insist that the conflict should end at the negotiating table. A negotiated settlement is favoured outright by the United States and their Western allies for various reasons. The first of these is that such a settlement justifies international norms which state that democratic, inclusive negotiations are the key to successful governance as well as an effective moral and ethical resolution. A second, more practical reason is that it is increasingly clear that only through a negotiated settlement may the United States start building meaningful influence in a future Syria government that could benefit its global vision. Occupying an essential position on the geopolitical map, Syria has been firmly seated in the anti-American bloc of nations since the Ba’ath party seized power in 1963. In spite of CIA attempts to cultivate an opposition movement to seize the country, particularly throughout the 1950s as part of anti-communist operations, US influence failed to gain hold and, in the years before the Arab Spring, the United States had little-to-no known influence over potential opposition groups on the ground. With the rise of the Arab Spring and the fall of regimes across the region, many saw the conflict in Syria as a chance to topple the Assad/Ba’ath regimes once and for all, installing a government that was democratic in values, open to international norms on trade, and less hostile to its neighbours. Attempts to bolster rebel forces who emerged as opposition groups armed as protection against increased government aggression failed and it has been increasingly obvious that the US lacks the ability or willingness to wield their power adequately to influence the dynamics of the conflict on the ground to the point where an all-out rebel victory could be won. Evidence that Russia’s aerial campaign is focused not on ISIS – as Moscow claims – but rather at Arab rebels that pose a threat to the Assad regime is growing. Targeting these groups helps lessen the pressure on areas under Assad’s control and helps him and his allies expand this control across the cities of the northeast of the country. This strategy has the added advantage of eroding non-ISIS, Arab rebels and limiting the groups available for support on the ground by regional and international players. By doing so, it is hoped, the conflict will slowly move away from the complex network of actors on the grounds towards a two-way fight between the Assad bloc and ISIS, realising the held rhetorical line that Assad is the last bulwark against terrorism. Doing so would make a negotiated settlement impossible as non-ISIS rebel groups hold no points to negotiate and nothing to offer at the table. Other states traditionally allied with the United States – mainly the Gulf States and Turkey – have been able to build some influence with material support to groups who the United States has traditionally been deemed too ‘Islamist’ to support. These states may not share Washington’s willingness to negotiate a settlement with Russia, Iran, and the Assad regime, however, and it may be up to international powers to convince these states that such a diplomatic solutions are in their best interests. A key for America’s strategy will be ensuring that fighting groups favourable to the United States can maintain a place on the battlefield in order to ensure a seat at any future table can be easily occupied and that their concerns will be taken seriously. Without control of places of geopolitical that will be essential to the future states, such groups would be marginalized in the future negotiations. 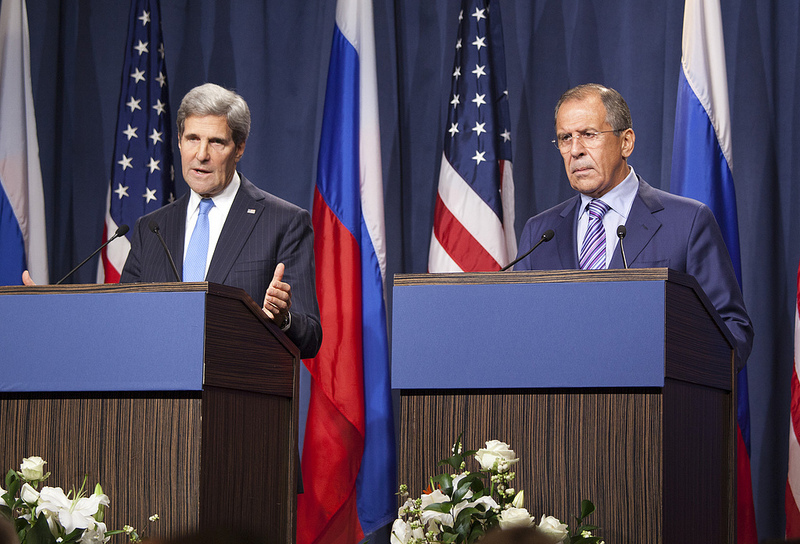 Any negotiated settlement in Syria would need to involve Russia and the US. Such an outcome will be much easier to achieve than an all-out victory. The Obama administration has, since Russia began its aerial campaign, loosened its demands that Arab rebel groups meet certain criteria to be considered for US support and have ended failed training programmes for the elusive moderate rebels. Its new focus will be on forcing a stalemate on the ground, creating a situation in which all-out victory will be elusive to all players and advances on the battlefield near impossible for Assad’s forces, although it is unclear how far they are willing to go to achieve this aim. If this paralysis can be achieved and if the parties in the conflict can be persuaded that this is the case, it will lead the way to divert the conflict of the battlefield towards the negotiating table. If victory is still seen as a possibility through war – or if parties believe advances can be made that will strengthen their position in negotiations – then negotiations will be elusive and the possibility of meaningful compromise weak. In Syria it is important to note that for the United States, the fear of loosing strategic headway is slim. If they can nudge the Syria conflict to a negotiated settlement that would include groups open to Western and Gulf influence, this may be a victory in itself. An Assad victory would simply be a return to the norm in the levels of control they have over the territory of Syria and the cost of his removal as well as the risk of who his replacement may be, are too great for the US. A return to normal, however, would signal to America’s allies a step-away from the region and an unwillingness to act as a security guarantor. Some fear that this will embolden the revolutionary bloc of states, leading Iran and Russia to further increase support for actors who will destabilize the regional and world order. Such a move could force America’s allies to look to self-defence and self-determination to tackle the expanding threat and may do so in a manner more disruptive, with itchier fingers on the trigger, that could lead to a greater level of conflict with more devastating results. To be successful in this policy, the United States will need to relay the support of its regional allies to ensure that both they and their partners on the ground respect any negotiated settlements that can be forged. Similarly, it will need to ensure that Russia, as the biggest power involved, will respect the agreements, bringing the Assad regime, Iran, and Hezbollah to the table. Whether or not this can be achieved may be largely down to the diplomatic abilities of Obama and Kerry to make the negotiated settlement appear the best option. After the assassination, the immediate question was “who did it?”. So far, the answer to this question is “we do not know.” The supporters of Balous immediately blamed the regime, while the pro-regime figures called it a “terrorist attack” (Note: “Terrorist” is a catch all term for the opposition for many pro-regime figures) and tried to calm tensions. The Western/Gulf backed Southern Front of the Syrian Opposition stated that such an assassination was “inevitable” and called on the Druze community to commit to the opposition. Balous was a major problem for the regime because of his outspoken criticism. Chief among these was his opposition to the drafting of the Druze to fight for the Assad regime. Most Druze decided to form local protection militia’s in response to the attempts by the Assad regime to draft members of their communities. Balous also was an advocated for Druze autonomy and a supporter of the Syrian Opposition. Whatever happened, this event is going to increase tensions among the divided Druze community. We have already seen footage of protests in response to this attack. No matter where the Druze stand politically, there is nothing more important to them then their community. Most would consider this assassination unacceptable. Following Russia’s rotation into the monthly presidency position at the United Nations Security Council (UNSC) on September 1st, where Russia's main stated goal is to counter international terrorism, President Vladimir Putin has announced that Russia has indeed been involved militarily in the Syrian Civil War. President Putin was careful to say that direct military intervention has not yet happened — going so far as to call it “premature” — but rather he confirmed what many knew already: Russia has been supplying arms and helping train pro-Assad soldiers. “Moscow and Damascus have certain military contracts and they are being fulfilled,” RIA Novosti and Russia Today quoted him as saying. He then directed the focus to Russia being “ready to contribute to internal dialogue in Syria” because, according to the Russian president, refugees are fleeing Syria because of ISIS and not because of Assad – a bit strange considering many Syrian refugees’ cite Assad and “the war” for their reason of fleeing their homeland. We do realize that political changes are needed and we are talking to our partners in Syria... The president of Syria, by the way, agrees with it, up to calling early parliamentary elections, establishing contacts with the so-called ‘healthy’ opposition and involving them in governance..."
For the past four and a half years, Russia has used its United Nations veto to support the Assad regime and has promoted diplomatic talks over military intervention to resolve the Syrian conflict. President Putin even had an article published in The New York Times in 2013 calling on Americans to understand the Russian position. Now, as ISIS poses a direct threat to Russia and has targeted top Putin allies and even Putin himself, Russia is taking necessary measures to thwart any more ISIS advances. This includes talking to and partnering with the United States, one of the main nations placing sanctions upon Russia, which has spiraled the Russian economy into a deep recession. President Putin denounced US airstrikes in Syria in the press conference, calling the efficacy of them “poor” yet announced his desire for the creation of an anti-ISIS coalition, which would involve leaders from the United States, Turkey, Saudi Arabia, Jordan, Egypt, amongst other willing states. Sergei Lavrov, the Russian Foreign Minister, also reiterated the importance of the Syrian army to combat the rebels and called again for Syria's role to be strengthened internationally. "The international coalition against the terrorist organization ISIS will not be effective without Syria being part of it," he said in a speech at the Moscow State Institute of International Relations. "President Assad was elected by his people and is thus the completely legitimate president of Syria, regardless of the statements from the West." Can Putin maintain the Assad regime and therefore maintain the longstanding Russo-Syrian alliance — which has lost Russia credit in the eyes of certain Middle Eastern and Western nations within the past few years — while fighting ISIS alongside Middle Eastern and Western nations? Russia’s alliance with Syria began in the 1950s Soviet era well before Vladimir Putin and Bashar al-Assad were in power. The Communists in the Soviet Union and Syria found common ground in anti-Israeli, anti-American, and some anti-Arab sentiments, and maintained decently close throughout the latter half of the twenty-first century. As the decades passed on and leaders passed on, it wasn’t until 2005 that Syria and Russia truly began to deepen the alliance – under both Putin and Assad. One step forward, two steps back, repeat. Numerous articles discuss theories that Putin is afraid of Assad losing power for a variety of reasons: Russia has interests in Syria, such as the exporting of arms and the Tartus naval base; the fear surrounding the Chechen-Russian conflict of the ‘90s and the almost-Yugoslavization of Russia; the failure of the USSR in 1991; the US failure of pulling out of Afghanistan in 2014, following the ongoing war that resulted after 9/11; and the general sense that if Assad can lose power after an uprising, so could Putin just as easily. However, Syria is not Russia's primary arms importer. That's been India for years now. The Tartus naval base theory is interesting but the Cyprus port deal gave Russia an alternative naval base in the region. There could be "fear" still lingering in Putin after the fall of the USSR and the memories of the Chechen Wars and the US Invasion of Afghanistan, but Putin brought Russia out of the rubble of the Yeltsin administration and into a whole new era of conservative, traditional nationalism, which is clearly working in his favour as his approval rating hovers around 89 per cent in Russia. Why would he fear the collapse of his presidency when he is so loved by Russians? The real reason is as simple as this: Syria is more useful to Russia as an ally than an enemy, and right now, Russia needs all the allies it can maintain. By locking arms (in a sense both literally and metaphorically) with Assad, Putin is ensuring his own survival as well as that of his nation in a world that Russia believes is trying to eliminate Moscow from being a part of. If Putin can support the Assad regime, squash the rebels in Syria (including those in ISIS), Putin will come out on top and give this new, more hardened Russia more global credibility. Syrian refugees are seeking asylum in Europe from the Syrian Civil War in mass numbers that far exceed the refugee situation during and post-World War II. Many are dying on the way to Europe, and if they do make it to Europe, certain European Union leaders are blocking their entrance into the countries they’d like to settle in. Russia is, of course, roped in to this as well. Some refugees are routing via Moscow and Saint Petersburg to get to Norway and other Scandinavian countries, others have chosen to stay within Russian borders. According to Russian news agency Interfax, 12,000 Syrian refugees are currently in Russia. President Putin say it was all "absolutely expected." This crisis puts Russia in a difficult position as it further demonstrates the weakness of the Assad regime and Assad's inability to crack down on the rebels and maintain the people in his land, which is not a quality the current Russian government cares to endorse. It also conversely puts more pressure on Russian leaders to explain why Russia is still backing a failing dictator, especially at a moment when they are chairing the UNSC with a focus on fighting international terrorism. As the Putin-Assad tango continues masking the more serious issues at hand (such as the chemical weapon usage by the Assad regime in the past), the world will have to predict the next steps in this complicated geopolitical dance. Indeed a deeper understanding of this choreography of power could eventually boost hopes for a more manageable solution to this conflict. Yesterday saw the release of some impressive first person footage of a group of Ahrar al-Sham members storming and taking a hill in Latakia Province. Recently, Jaish al Fatah has been making advances into Latakia that are starting to put the traditional home of the Alawite sect into jeopardy. It is extremely important for Assad to keep control of these areas, however there is more and more evidence pointing to an extreme shortage of troops for the Syrian regime. This is leaving the regime with some extremely difficult choices as it is currently under assault in several areas in the north and south of Syria. It is also questionable to assume that Hezbollah would get involved in the Latakia Province, however it is not out of the realm of possibilities. There is some Hezbollah presence, however, this would cause an increase in casualties and an increase of Hezbollah becoming deeper involved in the quagmire it finds itself in inside Syria. How did this all happen? In 2013, the Latakia front was opened by a coalition of groups ranging from the Free Syrian Army to Al Nusra. The 2013 offensive was primarily lead by jihadist groups like Nusra and Junud Al Sham (a group of mainly Chechen jihadists). Ahrar al Sham also had a presence, along with Harakat Sham al-Islam (a group founded by released Guantanamo inmates). The Islamic State also participated in this attack as relations were still good between IS and the rest of the opposition in 2013. Several Alawite villages were taken, and allegations of civilian massacres by Al Nusra were also reported. The Assad regime was able to retake most of these villages, however, the insurgents were able to dig in and establish a small presence in Latakia. The 2014 Latakia offensive is likely better known because it brought the infamous #SaveKessab hashtag that was eventually popularized mainly due to Kim Kardashian efforts to bring attention to the issue. Most of the information and pictures were eventually debunked. However, the issue was widely covered in the media. Some politicians also capitalized on the issue and presented it as an issue of “Muslims killing Christians”. The 2014 offensive was mainly lead by jihadist groups like Al Nusra and the Islamic Front. The FSA had a somewhat limited participation in this offensive, relations between the FSA and the rest of the opposition were very poor during this time, especially in northern Syria. Some FSA groups claimed they were not informed about this offensive by the jihadist groups and stated they were not allowed by Turkey to travel into Latakia from Turkey. Once again, Chechens played an extremely prominent role in the fighting. Turkey also allowed several groups to advance into Latakia via Turkey. This offensive also saw the Turkish Air Force take down a Syrian Air Force jet. Turkey claimed the jet violated Turkish air space while Syria denied this. The most famous battle occurred over “Hill 45” which changed hands many times, before eventually being recaptured by the Syrian Army and National Defense Forces (Syrian Militia supporting the Assad regime). Hezbollah also provided advisors at the very least to the Syrian Army during this battle. The 2015 offensive is the first offensive where the opposition has seen success beyond entrenching in the area. This is mainly due to the success of the Idlib campaign by Jaish al Fatah. This gives the opposition a stable operations center to launch attacks into Latakia. This coupled with the Daraa offensive in the south places two regime strongholds under the possibility of direct threats. The 2015 offensive has also seen the presence of Iranian advisors in the area. This presents a real problem for the Assad regime in maintaining its base of support. Assad needs this support to stay in power. Keep in mind, Latakia has seen heavy losses of its young men due to fighting and the recent issue of a cousin of Assad murdering an air force officer due to road rage has not helped. As mentioned at the start of the article, first person footage of Ahrar al Sham storming a regime outpost on top of a hill was uploaded recently. The attack apparently caught the regime soldiers by surprise as evidenced by a smoking hookah and what appears to be food being cooked. The soldiers manning the outpost appear to have ran off. Of chief importance is the success the opposition is seeing in the Sahl al-Ghab plains. Control of this area allows the opposition to cut off a supply route to both Hama and the city of Latakia. Also worthy of note is the presence of American vetted groups supplied with TOWs in Latakia and the al-Ghab plains. The hills of Latakia are especially well suited for TOWs and it will be extremely difficult to dislodge these groups. It appears as if the opposition has established what might be a permanent presence in Latakia. Assad now faces a decision of having to withdraw troops from other areas in order to defend Latakia. The other option would be an increased presence of Hezbollah soldiers and Iranian units. It should be pointed out that this might not be as popular with the Alawite base as they have cherished their sovereignty. By Thomas Baron (@TCBaron) The idea that President Assad will step down from power and a secular, peaceful, and democratic coalition government will take his place has long since faded. The Syrian National Council, the group that Hilary Clinton declared in 2011 was the “leading and legitimate representative of Syrians seeking a peaceful democratic transition” is effectively a non-entity at this point and claims that the West should support “moderate rebels” in the country are increasingly met with the unanswerable question as to who such rebels are and where they might be found. Still, Assad’s reign is increasingly unstable. By spreading his forces too finely in an attempt to maintain control over the entirety of the state he has reduced his ability to win important battles and protect strategically important land. He is now being forced to abandon much of the country to opposition forces and is focusing on protecting the two things that are most important to his continued grasp on power: the capital and the Alawite population. Today ISIS managed to capture the city of Palmyra (also known as Talmud) in the centre of the Syrian Desert. 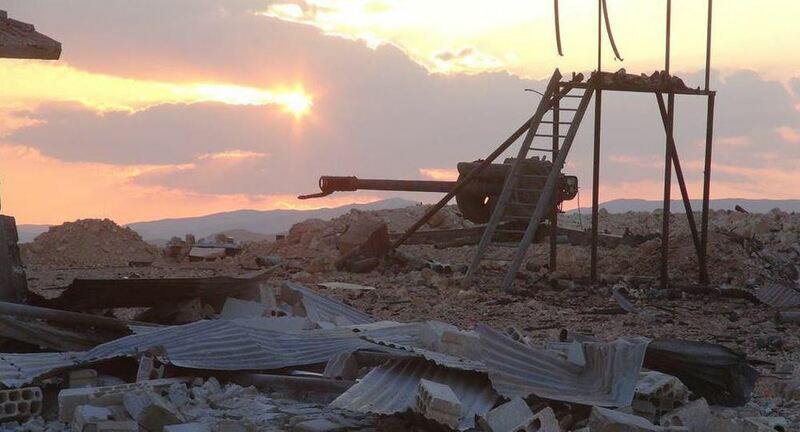 After several days of fierce fighting around the outskirts of the town, as well as the nearby gas and oil fields which reportedly killed over 300, Assad regime forces as well the pro-government NDF militias began withdrawing from the city.